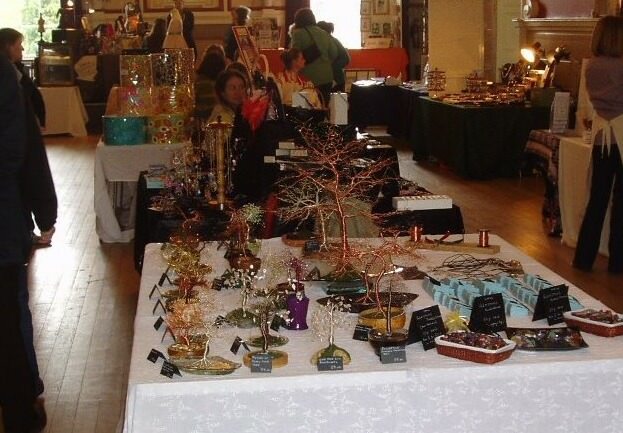 Craft Fairs, Shows, Exhibitions and Events in the Stamford, Lincolnshire area where my Wire Sculpture Trees, Lapidary items and Shalini’s Jewellery will be on display and available for sale. Please Note: Rough Rocks are not offered for sales at Craft shows but you can speak to us about purchasing them or commissioning bespoke polished specimens at the shows. Please see the Calendar Below for detailed information including maps.